DETROIT (Aug. 5, 2018) - NABJ-Chicago is the NABJ Professional Chapter of the Year and North Carolina A&T State University is the Student Chapter of the Year. 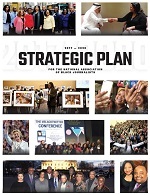 The winning chapters were honored during the 43rd NABJ Convention and Career Fair in Detroit. 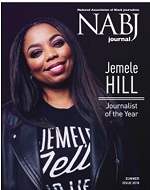 These NABJ awards are presented to a professional affiliate chapter and a student chapter for their accomplishments during the eligibility period. Among the criteria are the number of new members for the chapter and NABJ, the chapter's community activities and programs, and the number and size of scholarships awarded by the chapter. In the last year, the Chicago chapter partnered with the local National Association of Hispanic Journalists for a highly successful job fair that had three dozen recruiters in the Chicago and Milwaukee media markets. More than 200 people attended. The Chicago chapter also co-sponsored, with CBS2 Chicago, a candidates forum for the hotly-contested state attorney general race. The event was live-streamed and had hundreds of thousands of hits. And the chapter’s monthly meetings consistently feature newsmakers as well as provide training for its more than 200 members. Throughout the year student members studied abroad, were featured on “Good Morning America,” served as LinkedIn campus ambassadors, graduated and pursued different careers in the media. Dr. Frances Ward-Johnson, North Carolina A&T’s dean of the College of Arts, Humanities and Social Sciences, agrees.